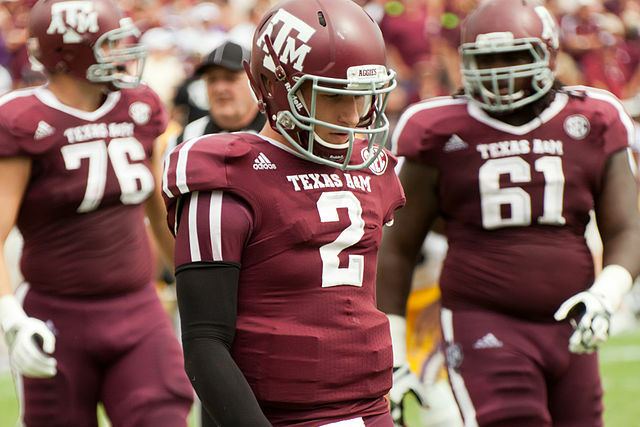 Johnny Manziel held his Pro Day workout this week, and the results were nothing if not Manzielian. From blasting Drake to an unconventional apparel decision, Johnny Football once again captured the hearts and minds of NFL fans, the Texas A&M Crew, and a couple notable politicians. 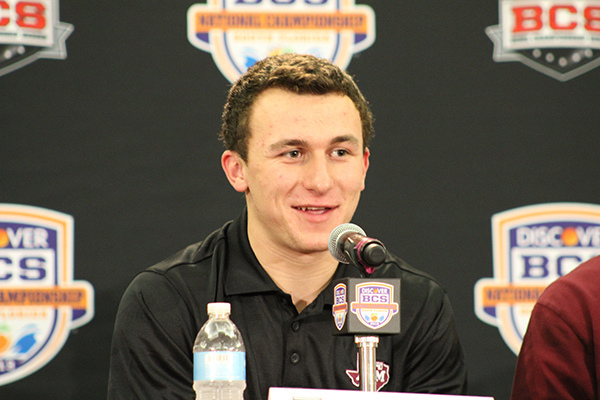 Manziel has officially declared for the NFL Draft, which begins on Thursday, May 8. That’s right — we’re only a little over a month away from the NFL draft. 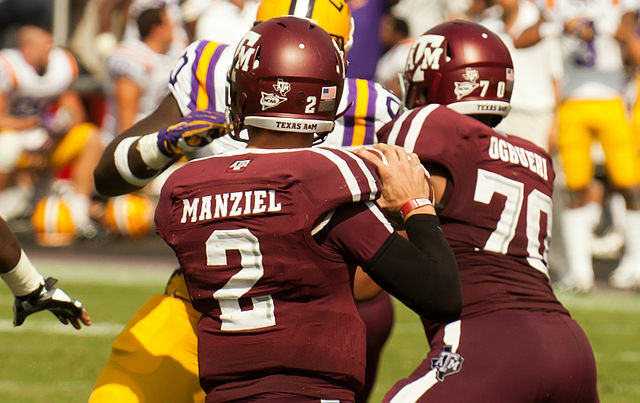 Manziel is expected to be a first round pick, and may even go first overall. Here’s five things we took from all the hoopla, but before we check those out, here’s a highlight reel from Johnny Football’s final college season. It’s fun. Lovie Smith, the longtime Chicago Bears coach who is now with Tampa Bay, loved the helmet and pads. “Most guys come out in T-shirts and you don’t play in T-shirts, so coming out made a statement throwing it in pads.” Gus Bradley also said that Manziel did a great job coming out and making it an event. Perhaps the best analysis came from Oakland Raider’s head coach Dennis Allen. “There’s a little bit of Hollywood to it. But the guy came out and he threw the ball well,” Allen said, talking to USA Today. For his part, about the helmet and pads, Manziel offered the idea that it was game day apparel, and that he was treating it like a game day. Manziel’s stat line for his pro day? 61-64 passing over a wide variety of passes thrown from under center, as opposed to the shotgun he played in college. He ran a 4.68 40 yard dash at the Combine earlier this year, the fastest time for any QB at the measurement bonanza. Don’t take that completion rate too seriously, though — there aren’t any defenders on a pro day, and the biggest knock on Johnny Football, beyond his attitude, which seems like a nebulous thing to harp on, is his height. No one doubts that he can throw, but at just-a-shade under 6″ tall, Manziel is on the low-end of the spectrum when it comes to what the NFL considers an acceptable height for a QB. Obviously, that’s one thing that a Pro Day won’t fix, but given the recent success of Russell Wilson and the Seattle Seahawks (you know, the team that won the Super Bowl with the short QB by beating the team with the tall QB) an undersized game manager under center isn’t the kiss of death that it once was. As of 2012, the average height for an NFL quarterback is 6’2″, according to an analysis done by the Seahawks Blog Field Gulls. 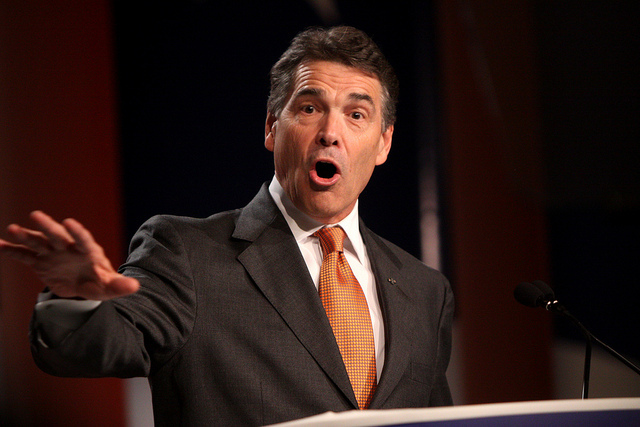 As for Rick Perry, he’s another graduate of Texas A&M, where he was a yell leader, who are sort of super cheerleaders elected by the student body. 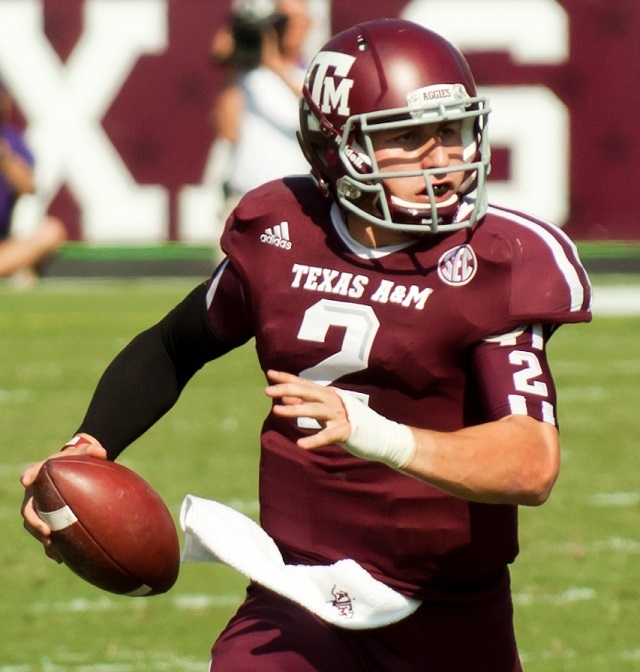 He’s also been featured in videos as the Aggie’s quarterback in virtual football. This video was posted by Governor Perry’s official account. If you watch any highlight video of Manziel’s college antics (and antics is exactly the right word to describe many of his “oh no way, oh yes way” plays), it’s clear that Manziel was not the typical throwing quarterback. At least, this is what the people who know a lot about how to properly throw a football said about Manziel. That was not the case during his Pro Day, as Kurt Warner broke down his throwing with NFL.com. Also, moving from the shotgun, which he played almost exclusively in college, to the more-typical center position that the National Football League requires. “He looked good with that adjustment,” wrote Sports Illustrated. “Manziel’s footwork was compact for the most part (he got a bit jumpy at times and tended to cross his feet on longer drops), and that helped lead to an overall performance that was very strong.” Check out the video below to see the improvement in form from his college career. We did get him sarcastically asking if games were played with pads and helemets. Add to that the fact that he’s trying to trademark his nickname — a smart move, we suppose, but one that makes him seem like kind of a goon nonetheless — and the fact that he converted Jon Gruden while still giving snarky answers in his interview, and you have a recipe for the league-wide phenomenon that is Johnny Foots. Viva Johnny Foots.